Patric Young’s first Turkish Airlines Euroleague game in an Olympiacos Piraeus uniform was one to remember. The big man shined both with highlights and in the stat sheet in leading the Reds to a 76-61 victory over visiting Cedevita Zagreb. He also racked up the highest performance index rating of any player on a winning team in in Regular Season Round 1 to become the first weekly MVP for the 2015-16 season. Young finished the game with 16 points, 6 rebounds, 2 assists, 2 steals and 4 blocks in an impressive all-around performance. He made 6 of 9 two-point shots and 4 of 7 from the free throw line after drawing 7 fouls. It was a great effort from the second-year Euroleague center, who debuted last season with Galatasaray Istanbul. Point guard Heiko Schaffartzik of Limoges CSP also recorded an index rating of 26 in his first game with a new team. In a home loss at the hands of Anadolu Efes Istanbul, Schaffartzik netted 20 points on 4-for-5 three-point shooting plus 5 assists. Paulius Jankunas of Zalgiris Kaunas was third in the weekly standings after posting 17 points, 11 rebounds, 2 assists, 2 blocks and a steal for an index rating of 25 in important road win over Stelmet Zielona Gora. Mindaugas Kuzminskas of Unicaja Malaga had performance index rating of 24 in his team’s victory over Brose Baskets Bamberg. Kuzminskas finished with 18 points, 5 rebounds, 3 assists and 2 blocks. Rounding out the week’s best individual performances were Jan Vesely of Fenerbahce Istanbul and Georgios Printezis of Olympiacos. While Printezis scored 20 points on 9-of-11 two-point shooting and grabbed 8 rebounds, Vesely had 11 points and 11 rebounds along with 5 assists. Both posted index ratings of 23. 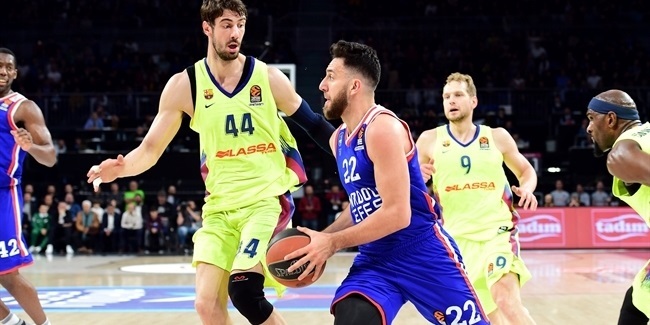 Jon Diebler of Anadolu Efes had a memorable Euroleague debut, netting 6 of 10 three-point shots for 21 points, which was the most points of all players in Round 1. Another Efes player, point guard Thomas Heurtel, had 15 assists, which tied for the second-most assists ever in a Euroleague game. Heurtel is one of three players who had 15 assists in a game before, and he is the only player this week with double-digit assists. Veteran big man Semih Erden of newcomer Darussafaka Dogus Istanbul was the best rebounder of the first week of action with 12 boards, which was 1 short of his career high. MVP Young was Round 1 top shot-blocker after denying 4 shots against Cedevita. 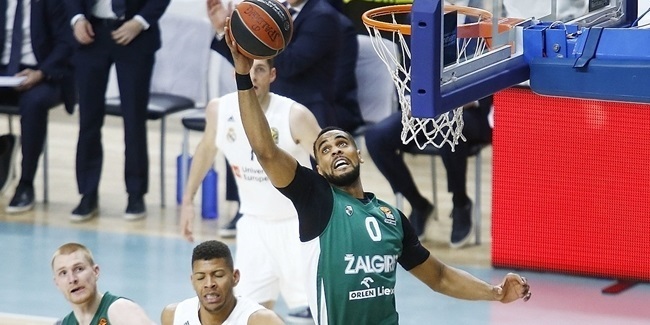 Randy Culpepper of Limoges had 5 steals in the first Euroleague game of his career, which was the most of all players in Round 1. There were five double-doubles this week, with Heurtel scoring 10 points along with his 15 assists. 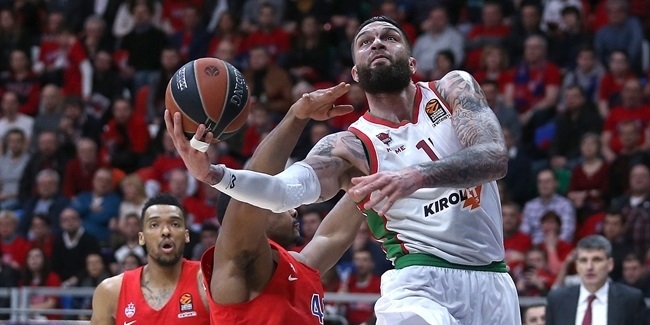 Jankunas had 17 points and 11 rebounds, Vesely collected 11 point and 11 boards, Matt Lojeski of Olympiacos had 14 points and 10 rebounds, while rookie Kenny Gabriel of newcomer Pinar Karsiyaka Izmir had 12 points and 10 rebounds in a historic win over FC Barcelona Lassa.